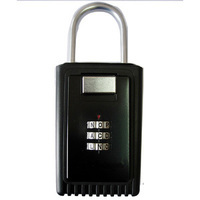 Keep your keys safe with realty lockboxes with 3 number or 4 letter combination locks. These real estate key lockboxes hang on any door knob, fence, railing or handle. 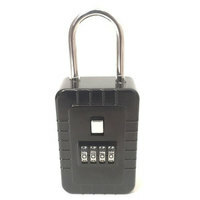 The protective sleeves and rubber coating (to prevent door damage) makes these the ideal combination lock box for Real Estate Agents and REO properties. 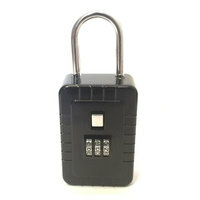 Lock Box Alpha 12 letter *Ships from OH Only*$11.50Heavy duty 12 letter combination lock box with protective sleeve and rubber coating to prevent door damage. 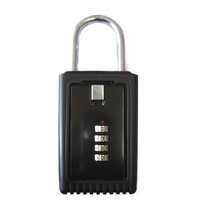 Hang the key lock box on any door knob, fence or railing. Ideal for REO properties and Real Estate agents.